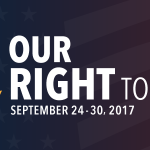 Every year during Banned Books Week, I like to peruse ALA’s lists of most frequently banned or challenged titles. They have quite a collection by year, by decade, etc. it’s always interesting to see what gets challenged and why. In the list of titles for the decade from 2000-2009, book number 10 always catches my eye: Stephen Chbosky’s The Perks of Being a Wallflower. I’ve read many of the frequently banned & challenged books, but The Perks of Being a Wallflower (which is soon to be a movie!) has a special place in my heart. The Perks of Being a Wallflower is about Charlie, a quiet, withdrawn ninth-grader whose best (and only) friend has committed suicide. The novel, written as series of letters, follows Charlie through his freshman year of high school. He befriends a group of older students, develops a close relationship with his English teacher, and falls in love for the first time. The letters, written to an unknown “friend,” describe Charlie’s family life as well, including his sister’s relationship with an abusive boyfriend and his brother’s freshman year as a football player at Penn State. The book is often challenged for its depiction of sexuality, teen alcohol and drug use, and teen suicide, but for me, particularly as a young teen myself, the frank discussion of teen life, especially from Charlie’s straightforward and relatively naÃ¯ve point-of-view, are what captured my attention and made me love the book. My life was even more sheltered than Charlie’s, but like Charlie, I often felt like an outsider. 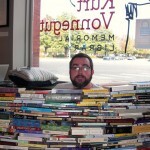 His sweet, observant voice reflected my experience. Although I didn’t have experience many of the heavier issues in the book, The Perks of Being a Wallflowers helped me prepare me for situations I encountered later, particularly in the lives of my own friends. 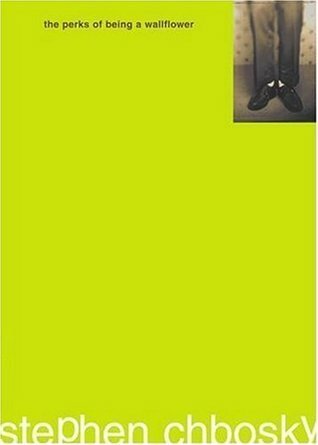 At its heart, The Perks of Being a Wallflower is a compassionate book, one about loving yourself, loving your friends, and coming into your own â€“ an almost universal adolescent journey. It has moments that are unsettling for both teen readers and their parents, but they reflect the lives of real teenagers. It gives voice to that experience in a unique and moving way. There’s a line that’s repeated, with variations, several times throughout the novel: â€œIn that moment, we were infinite.â€ It’s a beautiful line, one that captures the thrilling, breath-taking moments of adolescence that feel like truly living (and one that’s frequently tattooed on Wallflower fans!). It’s that sense of wonder makes The Perks of Being A Wallflower a favorite of mine, and, I hope, a favorite of teens for many years to come. 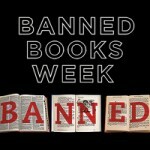 Banned Books Week: Why Do People Try to Ban Books Again? YA Under Fire: What Makes the Books Teens Love so Controversial? 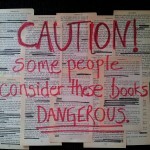 The Monday Poll: Read Banned Books!